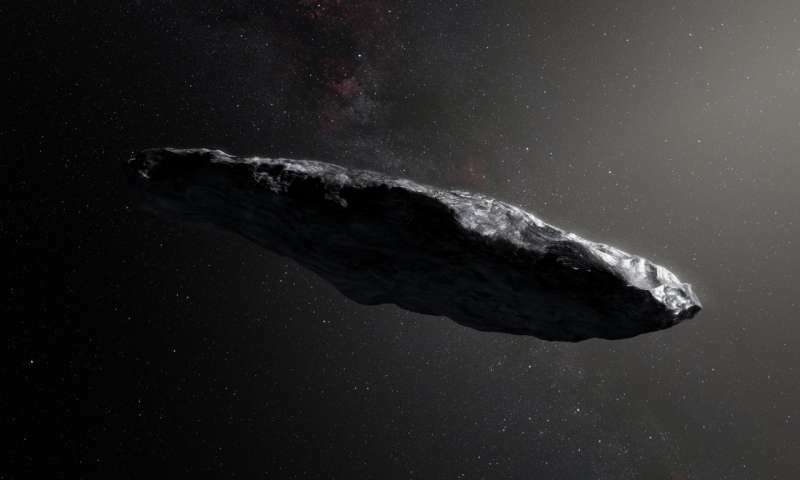 The cigar-shaped asteroid Oumuamua was first spotted in October 2017, and since then, scientists have been trying to determine the origin of the mysterious interstellar object. Its odd shape triggered various theories about its movement and much more, but a new study may have finally revealed some answers about what it is and where it came from. A team of scientists believes they have taken a huge step forward on determining the origin of the mysterious interstellar object. The object’s origin has now been narrowed to only four stars in interstellar space, and hopefully the puzzle will be solved soon enough. Researchers gathered a large set of data in June which suggested that Oumuamua’s movement was beyond strange. When the object was closer to the sun, it picked up speed. Scientists observed that it behaves similarly to comets and is carrying something that looks like ice and could turn into water vapor, speeding it up. Using this data, the scientists were able to track the cigar-shaped asteroid’s entry trajectory into our solar system. Initially, it was spotted leaving our solar system, so the team had to retrace its path so they could try to track its origin. The scientists analyzed a large batch of data from the European Space Agency’s Gaia mission. The data points to the most precise locations of various stars. The resulting maps are not only important to determine the movements of stars, planets and other objects throughout our galaxy, but also to detect the effectx of gravity from nearby stars and how they affect objects that move through our solar system. When they combined the information from different stars, the team discovered four stars that could have contributed to the existence of Oumuamua. They are the red dwarf HIP 3757, the sun-like star HD 292249, and two other stars that haven’t yet been given scientific nicknames. “Gaia is a powerful time machine for these types of studies, as it provides not only star positions but also their motions,” Gaia Project Scientist Timo Prusti said in a statement. Scientists strongly believe the origin of the mysterious interstellar object known as Oumuamua comes from a star system that contains at least one large gas giant like our own Jupiter and Saturn. Only that could explain why the asteroid was kicked out of its own star system and sent at such a fast pace with strange movement through interstellar space in our direction. Researchers explain everything in a paper posted on Sept. 24 to the preprint site on arXiv.org. The final draft of the article will be published in The Astrophysical Journal.